Thirty-six environmental civil society organizations (CSOs) issued a joint statement on February 20 to express deep concerns over the government’s plans to resume the Dawei Special Economic Zone (SEZ), which has been suspended since U Thein Sein Administration, in November 2013. U Bo Bo Aung, Spokesperson for the CSOs’ statement, said the governments of Burma, Thailand, and Japan and the Italian-Thai Development would need to resolve the land issues first if they wanted to resume the SEZ project because these problems existed since the earlier days of implementation. “Lands have been confiscated. Rivers and streams have been harmed. Local residents have lost their livelihoods. These [issues] need to be reviewed and negotiations need to be made with the local residents to give compensations until they are satisfied. Rather than [talk about] whether or not the project should be resumed, former problems need to be resolved first,” he told Karen News on February 22. U Bo Bo Aung continued that no one has taken responsibility within the four-year suspension to effectively resolve the issues on the harms and losses caused by the project. He urged the concerned parties to give transparent information on the advantages and disadvantages of the project in order to prevent similar incidents from repeating instead of giving non-transparent and misleading information and false hopes to the local residents. According to their statement, the Italian-Thai Development (ITD), which will implement the project, has been caught up in an environmental scandal in Thailand. The 36 CSOs made the following five-point demands to the governments of Burma, Thailand, and Japan to reconsider the plan to resume the project. The CSOs demanded the concerned parties to resolve the issues on the harms and losses of local residents and the environment and the project cannot be resumed until these issues have been resolved to the local residents’ satisfaction. A site-wide environmental impact assessment (EIA) must be conducted as required under Myanmar law since only the EIAs have been conducted for ten projects under the initial phase of the project but no site-wide EIA has been conducted yet, according to the statement. The CSOs called on them to provide accurate, timely, and accessible information about all aspects of the project. The concerned parties are also urged to ensure meaningful community participation in all aspects of project decision-making and pursue alternative development strategies without delay, such as sustainable agriculture, fisheries, and community-based tourism, the CSOs stated. The Karen National Union (KNU) has also issued a statement on February 2 in response to the government’s announcement on December 2, 2017 to cooperate with the Thai and Japanese governments in resuming the SEZ project, which will cut through a pristine forest area under the KNU-controlled area. Initiated in 2008, Dawei SEZ is located 20 km north of Dawei and spans 204.51 square kilometers on agricultural land. CSOs have criticized the SEZ project for causing land compensation issues and workers’ issues. Burma government and the Italian-Thai Development signed a concession agreement for the initial development phase to construct the infrastructures in the Dawei SEZ on August 5, 2015. 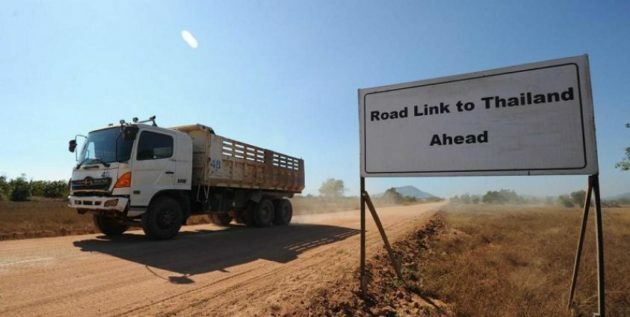 In April, Burma government and the Italian-Thai Development will sign a land lease agreement for the project.